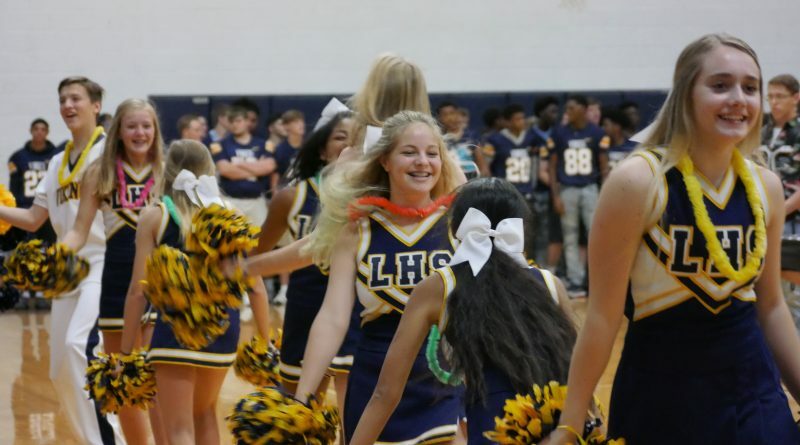 Outside of the regular cheer agenda- games, charity events, and pep rallies, the Lamar Cheerleaders have been especially busy with UIL and finals. Coach Dailey, Hackney, and Bryant led the cheer team to UIL on Friday, January 18 and finals the next day. The Lamar Vikings were the only Arlington ISD cheer time out of 70 high schools to advance to finals, which has been a major goal for the senior cheerleaders since they were freshman. “They made it a goal for themselves when they started out as freshmen… they were definitely happy when they accomplished this” said Coach Dailey. Another accomplishment the Vikings made was placing 5th in the state for our fight song. “UIL is hands-down the most stressful time of the year” said JV cheerleader Jordan Parker. A majority of the girls said the highlight of the year was the football playoff game. As the year starts to come to a close and the season is soon coming to an end, tryouts for next year are right around the corner. A required informational meeting was held last night, Wednesday February 6. If you did not attend the meeting, you will not be able to tryout for the cheer team. There will be after school clinics to learn the routines that everyone will have to individually perform in front of the Lamar cheer coaches, as well as outside coaches for other teams. A lot of girls planning to try out for cheer for the first time will be reasonably nervous, but coaches urge them to never show that they are nervous. “Being intimidated will effect your score. Always enjoy what you are doing because the judges will be able to sense that.” said Dailey. To all those trying out for the upcoming year, good luck and bring on your school spirit!